The whole family is going to the game here in Minnesota! It will be chilly since we’re still in the in the outdoor stadium! 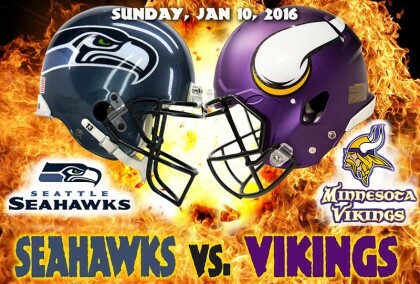 Go Vikings! I created a graphic in Photoshop to celebrate! Hope we’re as happy going home as we are on the way there! 🙂 Either way it sure was great seeing the Vikings become Division Champs and beat Green Bay last game! Sorry Packer Backers! Can’t win em’ all.